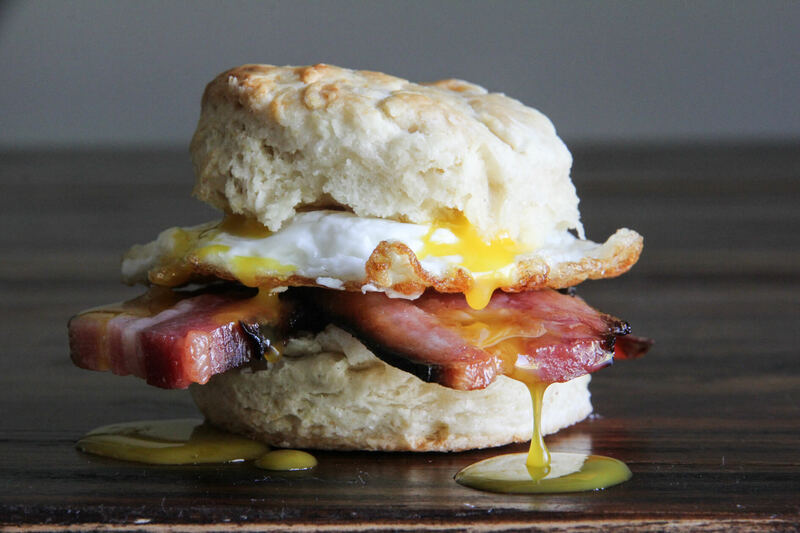 There are few single ingredients that are so universally adored as bacon. And the only thing better than bacon is homemade bacon. 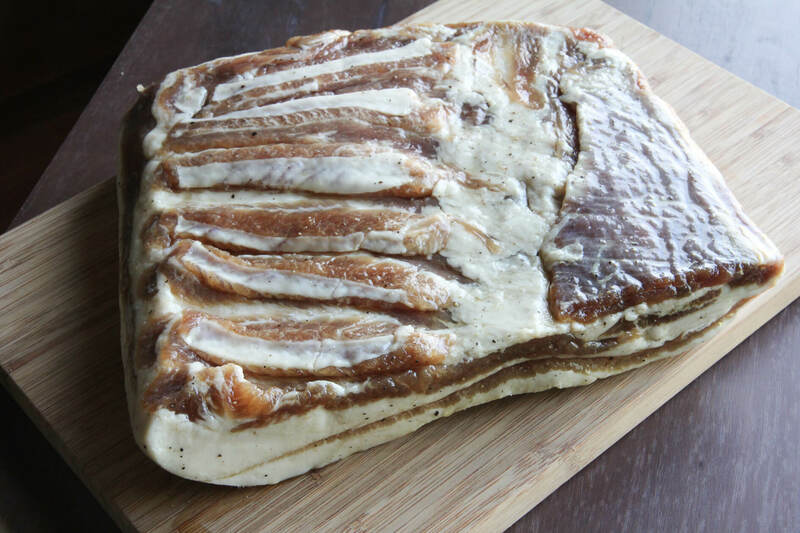 Curing your own bacon, at least once, is a great experience for any meat enthusiast. Although it’s a fairly lengthy process (at least, compared to running to the store and just buying some), it is a wholly satisfying one, and in addition to the sense of achievement it also yields some tasty rewards. It also gives you control of what exactly is going into the bacon, the degree of quality of the pork itself and of course, the flavoring and level of smoke. And not only that, but it gives you complete control over the thickness of the slices – get as thick or thin as your heart desires! There are a few things you’ll need to make your own bacon. Firstly, curing salt (aka Prague powder) which can be bought at better grocery and specialty food stores or ordered online. Second, you’ll need a smoker of some kind (because that’s where the smokey flavor comes from, duh!) I used a Pit Barrel Cooker because it’s fabulously easy to use, and their unique hanging system is perfect for this type of cooking. I prefer fruit woods like Apple or Cherry to pair with pork, but of course you can go for something stronger like Hickory. Finally, you may want to consider investing in a great quality thermometer. I use and recommend the Thermapen, and also used a Dot to monitor the temp of the PBC. This recipe serves as the core foundation for a bunch of different types and flavors you can try. All you need to do is adjust some of the ingredients and experiment with additions. 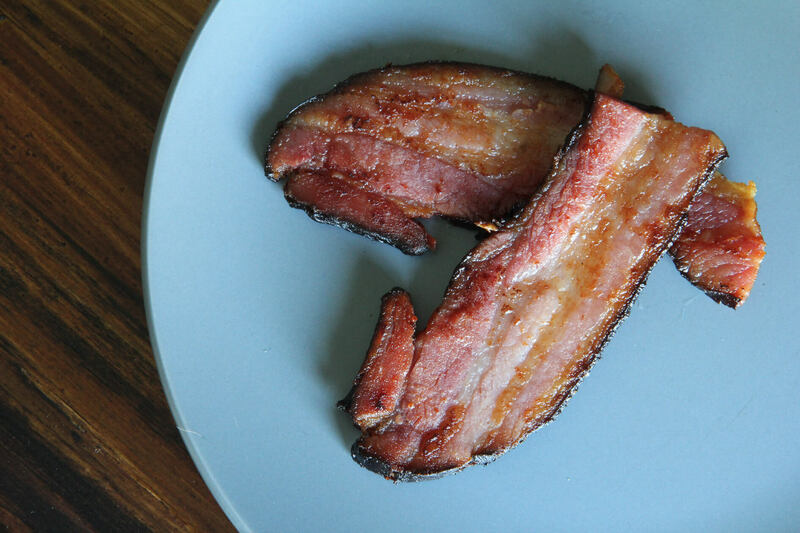 Brown sugar, molasses, garlic, bourbon, different wood species and a host of other options can be used to create your own signature bacon, and let’s be honest, it’s going to be one helluva tasty process of trial and error. *This post contains affiliate links which assist in supporting this site. As with anything, the better quality raw product you start with, the tastier your final result will be. 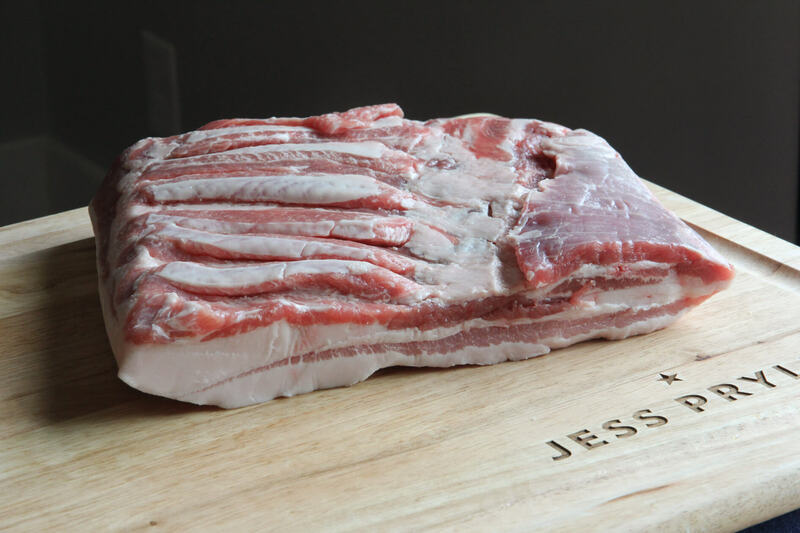 So using something like Kurobuta or Berkshire pork is going to result in some seriously amazing bacon. Having said that, this recipe (and the fact that you made it yourself) will yield delicious bacon no matter what type of pork you use. Start by curing the belly: In a small bowl, combine the pepper, sugar, paprika, salt & curing salt. Place belly on a foil lined tray and pat dry with paper towels. Using half of the cure mix, sprinkle evenly over the surface of the belly, and rub in gently. Turn over and repeat on other side with remaining mix. Place the entire belly and curing mix into a large zip top bag and place in refrigerator for 7 days. Each day the belly should be flipped onto the other side, and the contents (which will transform to a liquid) should be massaged around. After 7 days, remove from the bag and rinse under water. Pat dry with paper towels, and place back in fridge uncovered (on a rack over a pan to catch any drips) for 24 hours. Smoke the now cured belly using the apple or cherry wood for three hours at 200f, or until internal temperature reaches 150f. Store bacon in an airtight plastic bag or container in refrigerator for up to a week, cutting and cooking as required (if you don't eat it all at once! ).